Today, Uniformdating.com have launched a new recipe app, featuring recipes by Two-Michellin-Starred Chef Michael Caines MBE. As part of the launch, they have asked a few selected bloggers (and I am delighted to be one of them!) to create a recipe that would appeal to Uniformed Professionals. You can follow Uniformfoodies on Twitter. Given that it is summer and that, in my experience, people often struggle to get creative when it comes to salads, I decided to set myself the challenge to create a new and unique salad recipe that would be quick and easy to cook at the end of a long shift. Additionally, my warm duck and pine nut salad is very easy to scale up or down, so you can cook it for just one person, as a romantic dinner for two or for a whole family without complicated calculations to adjust the quantities. Start by cooking the rice according to pack instructions. I like to add a good pinch of sea salt to the cooking water for extra flavour. Once cooked, drain using a sieve and set aside to cool while you prepare the rest of the dish. Score the skin on the duck breasts with a sharp knife (without cutting the meat) and season with sea salt flakes and freshly-ground black pepper. Pre-heat a non-stick frying pan and once it’s nice and hot, place the duck breasts into the pan, skin-side down. Season the meat with sea salt flakes and freshly-ground black pepper. Turn down the heat and cook for a couple of minutes, then turn the duck breasts over to cook the meat side. After about 10 minutes, turn the duck breast again to give the skins another opportunity to brown, then turn back onto the meat side. This will allow the fat to drain from the skins and the skins to crisp up. In total, you will be cooking the duck breasts for approximately 15 minutes. You will have to judge this depending on how chunky they are and how pink you like your duck breast meat to be. Take the duck breasts out of the pan and set aside to rest for a few minutes, while you make the dressing and start assembling the salad. Turn off the heat under the pan, but while it is still warm, add the marmalade and honey to the duck fat & juices in the pan and stir in well to ensure there are no lumps. Add a few drops of balsamic vinegar and stir in, then check for taste. Add a few more drops if you feel the dressing needs it. 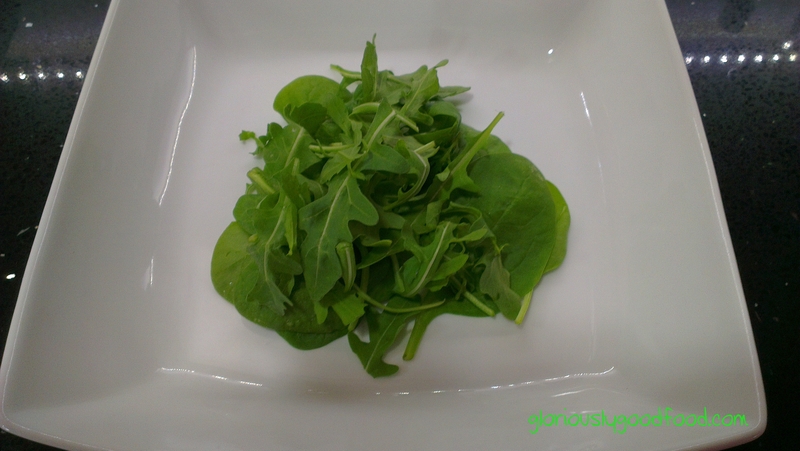 Place a handful of baby spinach leaves and wild rocket leaves on each plate. 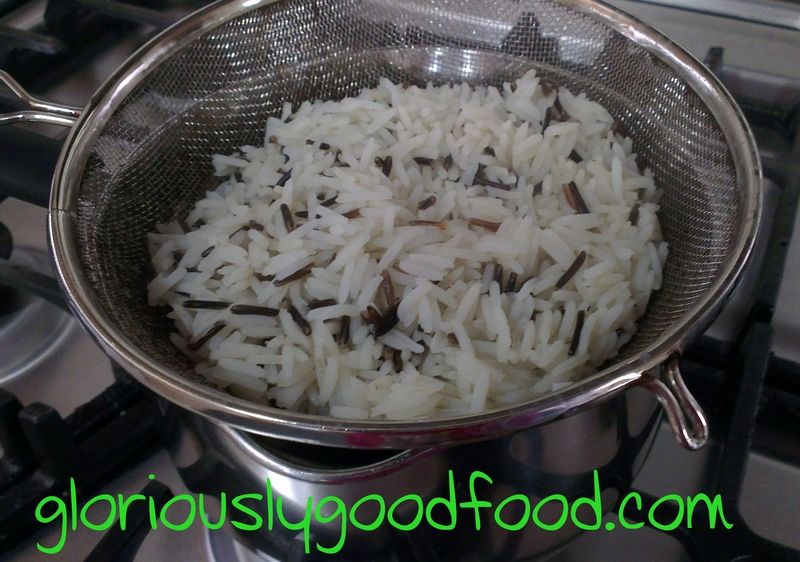 Place a quarter of the now luke-warm cooked rice on top of each little pile of leaves. 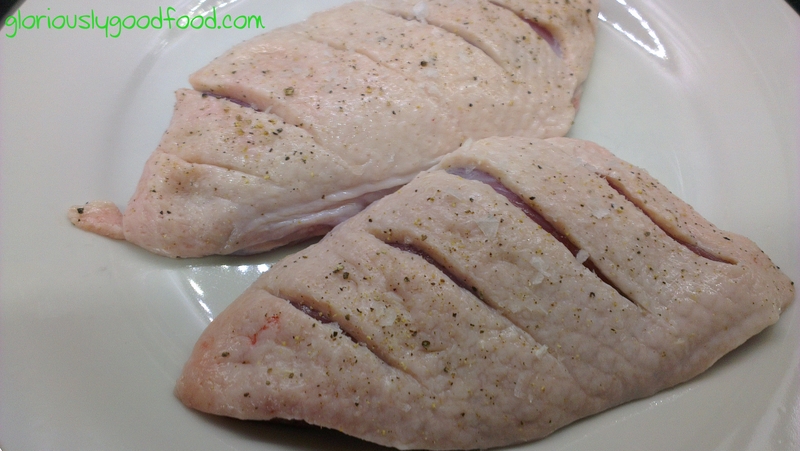 Slice the duck breasts on a slight diagonal, then lift each duck breast (all slices of one breast) and place on top of the rice and leaves on one plate. Repeat for each plate. Drizzle a quarter of the dressing onto each duck breast. Sprinkle on a few pine nuts. Are you feeling creative in the kitchen? As well as using the #Uniformfoodies App to view and cook delicious recipes, you can also upload your own recipes to share them with other users. *For disclosure reasons, I need to point out that I was provided with a small ingredients budget to create a recipe entirely of my choosing for the launch of the Uniformfoodies App. This recipe is also my entry into the Uniformfoodies blogger competition. 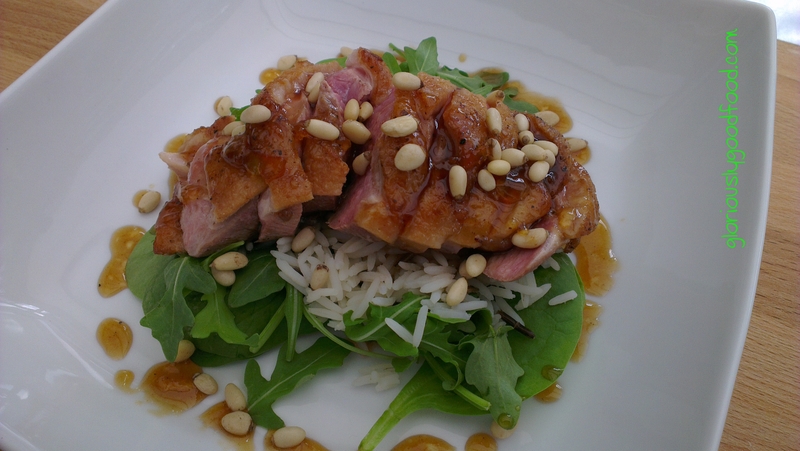 This entry was posted in Duck, Meat & Poultry, Pasta & Rice, Quick & Simple Lunches and tagged duck, pine kernels, pine nuts, salad, uniform dating recipe app, uniformdating.com, uniformfoodies, warm duck and pine nut salad, warm duck salad, warm salad, wild rice. Bookmark the permalink.